Canadian Grand Prix model Winnie Harlow: What is her skin condition? The major Grand Prix stuff-up that's thrown model Winnie Harlow into the headlines. 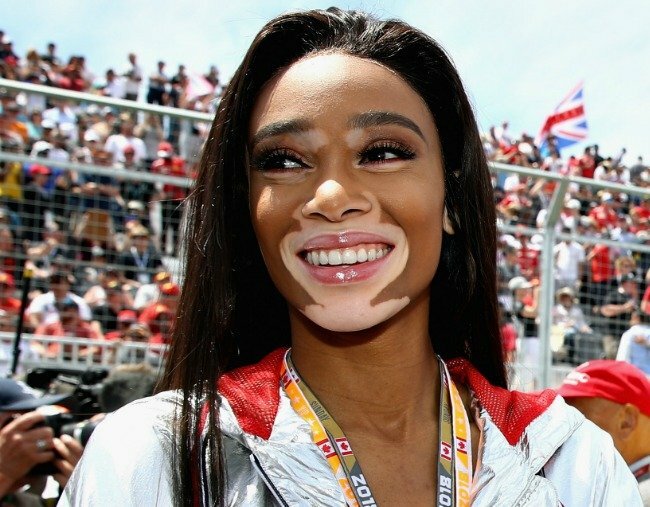 A chequered flag, a discounted fastest lap and a whole lot of confusion have put Canadian model Winnie Harlow into the headlines this long weekend. Canada’s Grand Prix was going along just fine until, in the final moments of the car race, the model unfurled the black and white chequered flag – before the 70-lap race had officially ended. Thankfully eventual victor Sebastian Vettel realised the mistake and continued the race to the finish – meaning that result wasn’t affected. But the mistake did cost Australian driver Daniel Ricciardo a title. Ricciardo was the fastest around the track during his 70th lap, but won’t get credit as “fastest lap” because officials have decided to declare the race 68 laps long and erase the final two laps. This meant his Red Bull teammate Max Verstappen – who completed the unofficial second fastest circuit in lap 65 – was awarded the achievement instead. Sky Sports F1 expert Ted Kravitz said Formula One management he spoke to said it wasn’t Winnie Harlow’s fault, although he did point to the end as a reason not all of those involved in racing approve of celebrity flag-holders. “There is a bit of controversy about celebrities and non-race marshals signalling the end of the race because it leads to chaos like this,” he said. The 23-year-old joked about the mistake on Instagram, saying she was told to wave the flag a lap too early, with the quip “you had one job”. And on Twitter, she referenced Shaggy’s song “It Wasn’t Me“. WHEN THEY TELL YOU TO WAVE THE FLAG A LAP TOO EARLY! You had one job sir!!! Hahaha ???????????????????????? but so grateful everyone was safe today and no one got hurt for this! @f1 ????????????✨???????????? If you recognise Harlow, but not her name, it might be because she’s changed it since she first rose to prominence during her short stint on America’s Next Top Model in 2014. Harlow entered the competition as Chantelle Brown-Young, and went by Chantelle Young, then as Chantelle Winnie, and eventually as Winnie Harlow. It was the then-19-year-old’s skin condition, vitiligo, that first caught host Tyra Banks’ attention. Vitiglio is a skin condition that causes patches of skin to lose their colouring and affects around one per cent of the population. It’s thought to be caused when the immune system of those with a genetic predisposition is triggered, sometimes by an auto-immune disease. The immune system’s cells start to fight the skin’s pigment cells, instead of an infection, causing their death and therefore only pigment-free skin to remain in those affected areas. On the show she faced a crude comment from one of the other judges about her skin – “Wow! You’re like an X-Man!” – and the model was second to be eliminated from the show, something she later described as a “stab in the back”. But her early exit didn’t stop her from making a name for herself, and in the years since she’s carved out an impressive career, modelling for Diesel, in campaigns for Swarovski and Sprite, and making the cover of magazines including Harper’s Bazaar and Elle. A huge part of her success can be put down to the way she embraced her condition – which she has refused invasive treatment for – and used it to her advantage. But while Harlow likes to highlight her skin condition now, as a teen it was the focus of cruel bullies’ taunts. In a video recorded before her Top Model season aired, the body positive advocate spoke of the bullying she encountered as a child and teen. 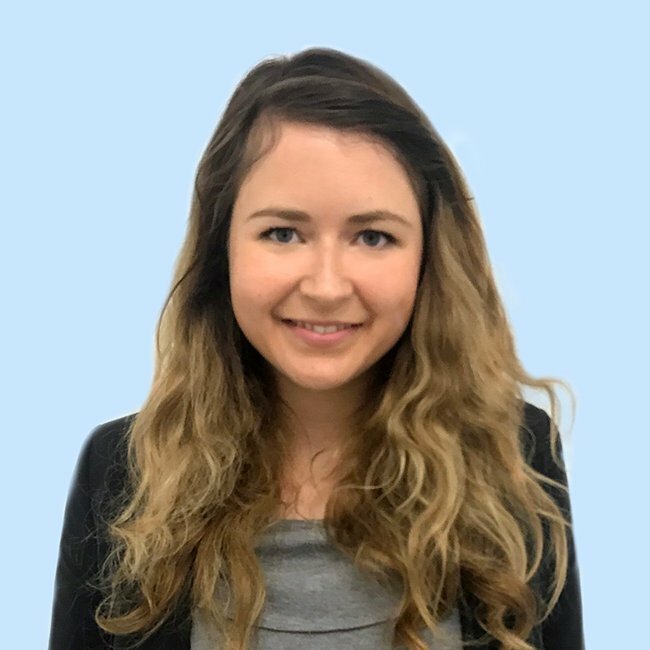 “While growing up, I was teased, ridiculed and bullied and called names like cow, zebra and all manner of other disparaging slurs,” she said. Now though, she’s got 3.3 million Instagram followers, an enviable modelling portfolio and Beyonce sending her Christmas jumpers (check out her Insta Story). She’s also using her difference to inspire others to embrace their own uniqueness and push back on the historical views of beauty. In her 2014 TedTalk reminded her largely teen audience, “beauty is in everything” and that it didn’t need to fit society’s strict mould. Young people can call Kids Helpline for advice and resources on bullying, as well as crisis support, on 1800 55 1800.